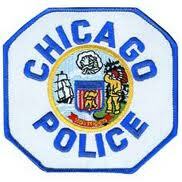 Last week the Chicago Police Department informed members of the 19th District that 03 March 2012 will be the last day the current 19th district facility will be used by the officers who patrol this area. As a result of this combination of districts, all the current beats will be replaced by new beats with new boundaries and beat numbers. The beat meetings that have already been scheduled for 19th district residents will continue to be held through June so you can be informed as to your new beat number and beat boundaries, along with providing you with any other information as it becomes available. As of today, the department has not announced who the Commander of the new 19th district will be. The current staff of the 19th district Community Policing office should be available at the new station to assist you as they have in the past with any community issue. The phone number to the Community Policing office is 312 744 4247. The phone number to the new district desk is 312 744 8320. Finally, I will not be assigned to the new district. It has been a pleasure to work with you in our combined efforts to address the issues in our community and I am proud of the success we have been able to enjoy. I hope each of you remains active in your community and continues to work with your new district’s Community Policing office to ensure your district remains the great place to live that you have made it…. This entry was posted in Neighborhood and tagged CAPS, police, Willner. Bookmark the permalink.